Stella & I sat in the back seat, while Mary & Google drove. They were going to drop us off at my mom's on the way south. 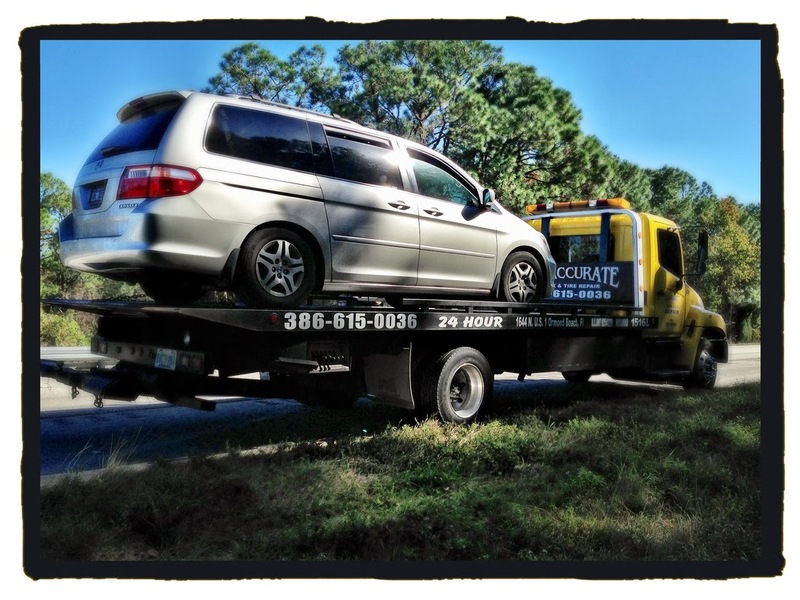 Everything was great until the transmission died in Daytona Beach. 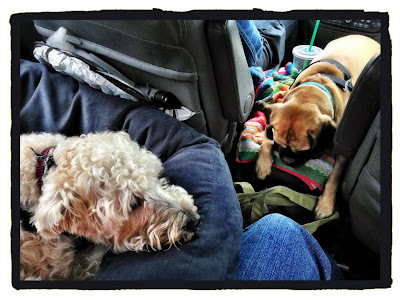 The pups had to stay in the van while it was being towed to the Honda dealer. They looked a little concerned but I think they had fun. We ended up renting a car & continued on to South Florida for Thanksgiving.